New TACA Members’ Exhibition in 2015! This exhibition sets out to increase The Australian Ceramics Association’s (TACA) regional outreach and strengthen participation of artists by providing national and international exposure. It also aims to harness clay as a repository of personal stories, as a medium to exchange ideas and explore complex interrelationships between the cultures of this country. Importantly, this exhibition aspires to showcase the creativity and diversity of contemporary Australian ceramic practice. Fraught with contradictions and complexities, the politics of identity in Australia is a historical one. Asia in particular – geographically near but in other ways very distant – has been a key relational feature of Australian identity and, alongside the not yet reconciled Indigenous and settler-Australian reality, continues to be of relevance within these highly globalising times. TACA invites your submission for an exhibition to be held during the Australian Ceramics Triennale 2015 in Canberra. It encourages you to share your stories, affirm your identities and explore diversity by articulating your understanding and interpretation of what it means to be Australian. This exhibition encourages you to draw inspiration and meaning from your surroundings, engage with notions of ‘belonging’ and explore changing attitudes to our ever-evolving community. Works can be sculptural, functional or conceptual. Throwers, hand-builders and those experimenting with new technologies are encouraged to participate, however, clay must be the primary medium of expression. The size of each submission must not exceed 15cm in height, width or depth. Works need to be free standing with a stable base, as they will be exhibited on wall-mounted floating shelves. 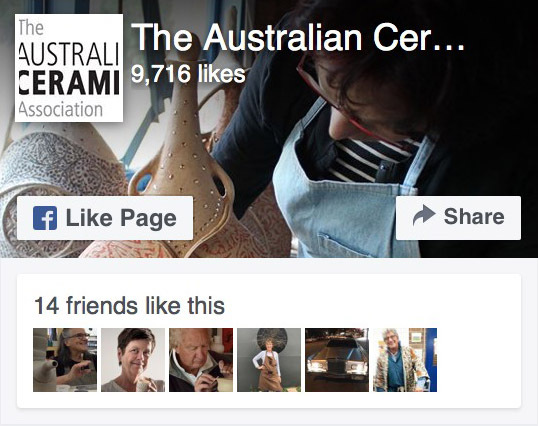 You are invited to complete an Expression of Interest (EOI) Form and submit it to The Australian Ceramics Association no later than 15 December 2014. Download the EOI form HERE.